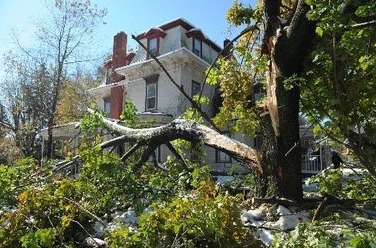 Trees have interiors that are rotted and weakened. 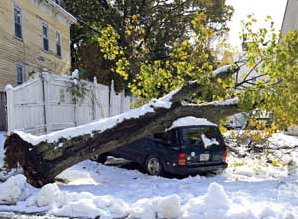 When so many fell during Irene, the winds were blamed - even though it wasn't that windy by the time the storm reached the East Coast. 'We’re surrounded by the enormous trees, and the branches breaking sounded like shotgun cracks through the night. It was very frightening,' she said. In the light of day, there was no power. No heat. No hot water." 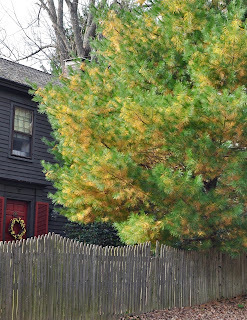 This tree in Massachusetts has no roots remaining to anchor it to the ground. Trees damaged by ozone allocate energy to repairing leaves, and less carbohydrates to their root system, making them more likely to fall over. My comment to the article: Yes, we have had some wild weather - you can thank climate change for that. But the reason branches are breaking and trees are falling, even in times of no wind or snow, is that they are dying from air pollution. People can't see tropospheric ozone, which results when reactive nitrogen precursors are released whenever we burn fuel - so they like to forget that the background level in the atmosphere is inexorably rising...even though ozone causes cancer, emphysema, asthma, allergies, heart disease, Alzheimer's and diabetes - all epidemics. Trees and plants absorb ozone, just like people - and plant life is even more sensitive to its caustic effects. Ozone damages foliage and enters vegetation through the stomates, causing internal injury that allows insects, fungus and disease to invade. 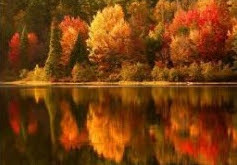 The long-term effect, following cumulative exposure season after season, is that trees are dying at a rapidly accelerating rate. We need to conserve and switch to clean sources of energy on an emergency basis before the terrestrial ecosystem, like coral reefs in the acidifying oceans, collapses. video and a radio interview on this topic here: Complacent, Oblivious and In Denial. 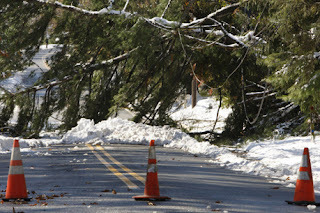 Many of the trees that fell either had, in fact, already lost their leaves, or were conifers evolved to withstand heavier snows. Because of the storm, I was stranded in New York, Saturday after the opera, when the NJ Transit train we had planned to take home was canceled. Too many dead trees fell on the tracks. The climactic finale of Don Giovanni was, literally and spectacularly, hellaciously INCENDIARY! Offered the chance to repent his life of reckless, destructively gluttonous and selfish consumption, our defiant hero obstinately refused - and preferred instead to be engulfed by the flames from below. It was brilliant stagecraft, and served to remind me that the human race, in general, would rather continue the path of bravado and hubris, indulging in our rapacious gobbling of resources, than to seriously consider conservation as an alternative allowing survival for future generations. It is this endearing characteristic that makes Don Giovanni an enduring icon, an unapologetic representative of the human foibles of greed and short-sightedness, which locks us to what will inevitably result in an ignominious fate for our splendid, simultaneously joyful and repugnant, species. Bonus Video from the Star Ledger, notice what the man says about the big old maple that fell, about 30 seconds in: "The Whole Tree Was Rotted." 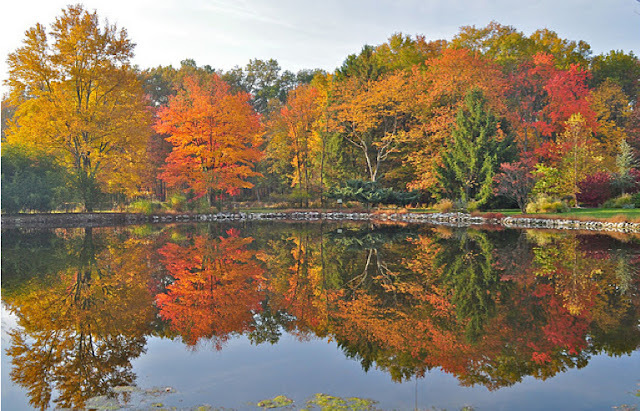 Keep in mind, maples should live for three or four centuries - it wasn't rotted because of age, there are only a handful of trees that old in New Jersey because they were almost all cut down when the Europeans arrived. This is a very funny parody that succinctly reveals the invariably stupid and self-destructive behavior - say for example, polluting, over-extraction of resources, causing climate change, and atrocious overpopulation - typically engaged in by the human race (especially the ludicrously selfish, short-sighted, ecocidal spoiled suburban American subset)...oh, this will make you laugh! Thanks RPauli for starting my day off with a twinkle! The corporatocracy is getting peeved, they are starting to lash back. "Radical politics in our time has come to mean the numbing quietude of the polling booth, the deadening platitudes of petition campaigns, car-bumper sloganeering, the contradictory rhetoric of manipulative politicians, the spectator sports of public rallies and finally, the knee-bent, humble plea for small reforms -- in short, the mere shadows of the direct action, embattled commitment, insurgent conflicts, and social idealism that marked every revolutionary project in history. ... What is most terrifying about present-day 'radicalism' is that the piercing cry for 'audacity' -- 'L'audace! L'auduce! Encore l'auduce!' -- that Danton voiced in 1793 on the high tide of the French revolution would simply be puzzling to the self-styled radicals who demurely carry attache cases of memoranda and grant requests into their conference rooms ... and bull horns to their rallies." This may soon be coming to an end. Compare this photo from last year, October 29, 2010. I was so thrilled with this pond scene, because it was proving difficult to find vestiges of the sorts of glorious autumn foliage we used to expect. The view below was taken today, the 25th. 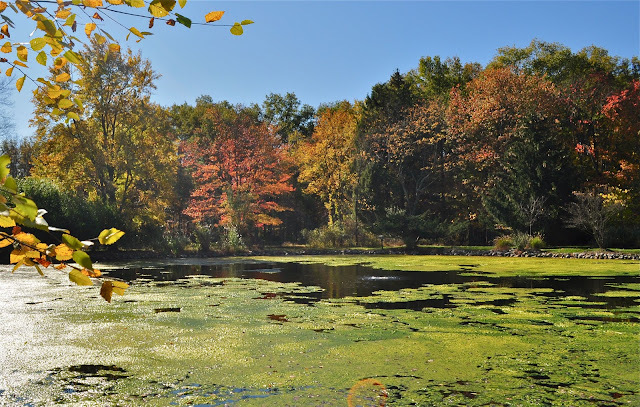 Aside from the diminished number of leaves and their muted color, the pond is turgid and full of scum. It's not surprising then, to read of all the "unexplained" fish kills occurring around the world. This is reactive nitrogen at work in the water, part of the Acidification of the World, a research paper mentioned in Monday's post. The full pdf is on GoogleDocs here. Emissions of SO2 and NOx in industrialized countries have been and will continue to be reduced, but not eliminated, region by region. Meanwhile, other parts of the world will continue to con- tribute to acidic atmospheric deposition, at a magnitude even larger than occurred during the 20th century. Thus, there is a ‘‘wave’’ of acidic atmospheric deposition-induced acidification moving across the landscape, leaving behind a ‘‘wake’’ of ecological damage that can linger for 2–6 decades (e.g., Cosby et al., 1985; Alewell et al., 2000), even centuries (Blake et al., 1999). Acidic atmospheric deposition is a common regional problem and will continue to be until Earth’s fossil-fuel resources have been depleted or until humankind develops alternate methods to produce sufficient energy for its ‘‘energy hungry’’ population. to form strong acids, H2SO4 and HNO3, which return to Earth through ‘‘atmospheric deposition,’’ i.e., rain, snow, fog, cloud water, gases, as well as dry deposition. Schemenauer (1986) presents a summary of the pH of fog and cloud waters, measured at Earth’s surface and by aircraft at locations around the world, indicating that pH values range from 2.1 to 7.5. The higher pH values likely are influenced by the marine environment. Because cloud water/fog almost always has a lower pH than precipitation and is in contact with vegetation for greater lengths of time, it has the potential to do more harm to the terrestrial ecosystem than precipitation alone. One of the lowest fog–water pH values ever measured, 1.69, was in southern California (Schemenauer, 1986). 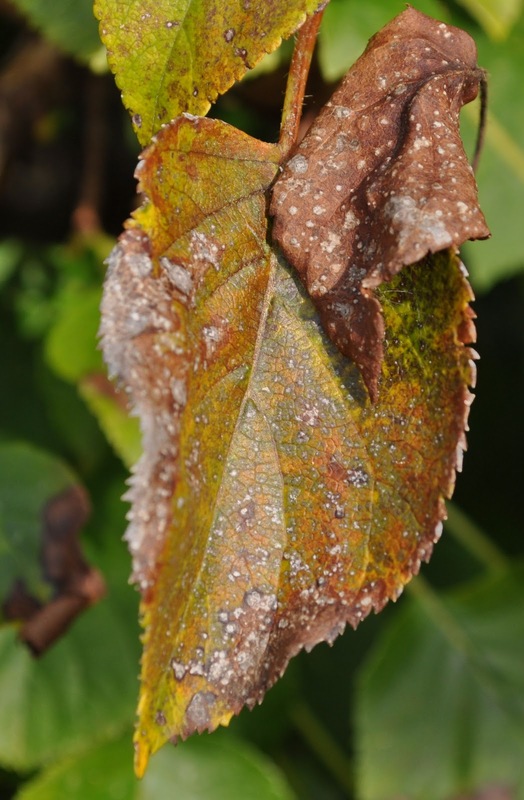 Deleterious effects of acid rain on plants, animals, and humans were observed as long ago as the middle of the 17th century in England, when the atmospheric transport of pollutants between England and France was recognized (Bricker and Rice, 1993). By increasing the height of chimneys, pollution was displaced down-wind of the source of emissions. 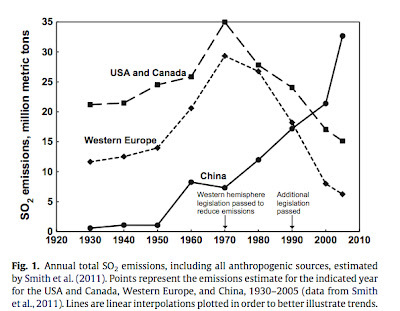 The average height of industrial smokestacks in the USA has tripled since 1950 (Patrick et al., 1981). Comparable height increases in most industrialized countries in the 20th century has transformed acid rain from a local urban problem into one of global scale. Indeed, monitoring of wet-deposition chemistry during the 1980s and 1990s at remote locations indicates that even Mt. Fuji, Japan (Dokiya et al., 1995), the eastern shore of the Baltic Sea (Milukaite et al., 1995), and Torres del Paine National Park, Chile (Galloway et al., 1996) are affected by regional- to long-range transport of anthropogenic pollutants. Because the sources of atmospheric acids are widely distributed across the landscape, even the short atmospheric residence times of hours to days for the pollutants is adequate to support world-wide occurrence of acidic aerosols and compounds. Sigh. 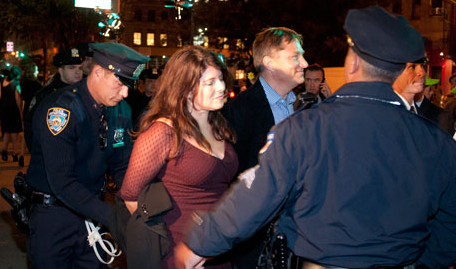 Being a very, very extreme and very dangerous activist (according to David Koch!) is turning out to be practically a full-time job. So, you know where I'll be November 6! [And shhhhh...watch out for another climate zombie action that weekend, too.] Here's one call to circle the White House, which is also a nice example of how, being denied megaphones or other amplification, the Occupiers use the "human mike" to make sure everyone can hear the speaker. "Because of anticipated budget cuts, we didn't collect any data this year. 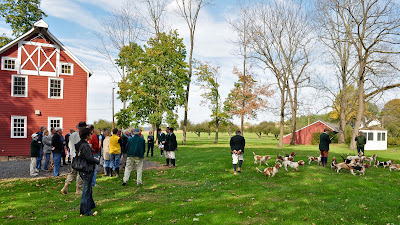 Nobody went out in the field." After a moment of silent, incredulous astonishment, I started laughing a little hysterically. "Seriously? What are you guys doing with all that time on your hands?" He laughed too. "Well, we're pushing a lot of paper around on our desks." I'm NOT kidding. That's what he said. Now, presumably foresters are still getting paid their salaries and benefits so, how much savings did the Forest Service realize by NOT sending them out to collect the leaves?? Answer: the results are getting too scary. Don't even ask WHO exactly made the decision. No need to apologize. Ever since I realized all the trees are dying, I am in a constant state of grief. I have always loved trees, I grew up climbing their branches and building little mouse houses of moss and twigs around their roots. They are magnificent, and give us so many gifts besides their beauty. Cool shade and the sound of wind blowing through their leaves, nuts, and fruits, wood for our houses and furniture, paper, maple syrup, oxygen, and a home for most wild creatures. They are the essential foundation of our ecosystem, and they are dying from the "acidification" of the atmosphere as surely as coral reefs, the nurseries of the seas, are dying in the oceans. Fewer people recognize that trees are in terminal decline however; I think because, as your reaction demonstrates, it is too soul-crushing to contemplate. So I very much understand, and I'm sorry to have added another source of dismay to an already crowded field. The obligatory good news is that if people could get past their natural resistance - especially if, as I suspect, it turns out that the ozone problem is grotesquely exacerbated by biofuel emissions - it would be a first step towards understanding that we must cut back our use of fuels drastically, and our population growth. Of course I realize that's not likely to happen. But I pound away at it, because the prospect of your local farm losing half its crop, and the trees around your house falling on the roof, seems like more of a motivator than contemplating the extinction of rare species in exotic places, like butterflies in Madagascar, or polar bears in the Arctic. "Because the sources of atmospheric acids are widely distributed across the landscape, even the short atmospheric residence times of hours to days for the pollutants is adequate to support world-wide occurrence of acidic aerosols and compounds." "Ozone effects on natural vegetation have been documented throughout the country, particularly in many areas of the eastern U.S. and in California. 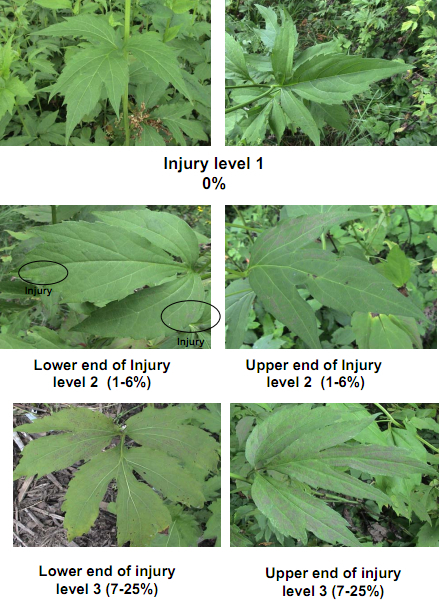 Ozone injury in cutleaf coneflower has been observed in Rocky Mountain National Park in northern Colorado..."
"From July through September in the Eastern United States, many plant species that are sensitive to ozone will show visible injury on the upper leaf surfaces. 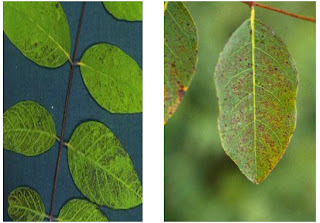 Normally, the ozone-injured leaf surfaces of bioindicator plants show stippled discoloration. Discoloration will vary among species, ranging from red to purple to brown. 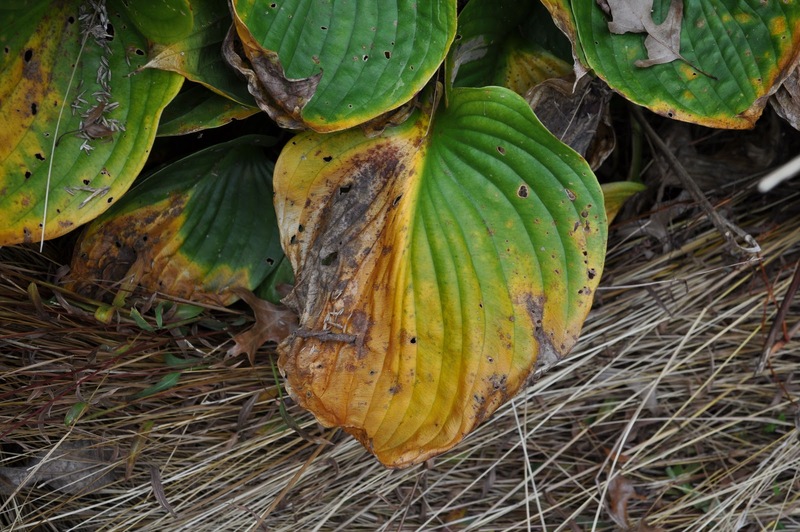 These plants may also drop their leaves early. 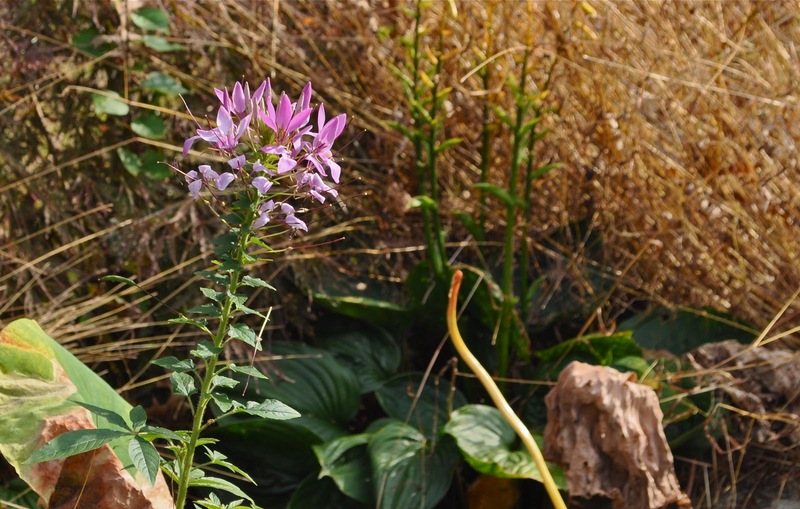 In addition to visible symptoms, studies have shown that plants affected by ozone are smaller, and may produce fewer healthy seeds. 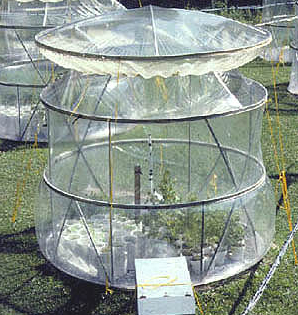 Ozone injury may stress plants in other ways, and they may become more susceptible to other problems, such as insects and diseases." Remember this salient fact, which is persistently and conveniently forgotten by scientists who prefer to point to the fungus that causes sudden oak death, rampant in California, and bark beetles, an epidemic in the Rockies and beyond. Hands on the Land, a cooperative project involving the NASA Langley Research Center, the Appalachian Science Highlands Learning Center, and various academic and Forest Service scientists, has a program for students, Welcome to the O-Zone. "...when ozone is generated from pollution sources and collects close to the ground (tropospheric ozone), it can be highly damaging to sensitive tissues in both plants and animals. How do we know that these symptoms are caused by tropospheric ozone? 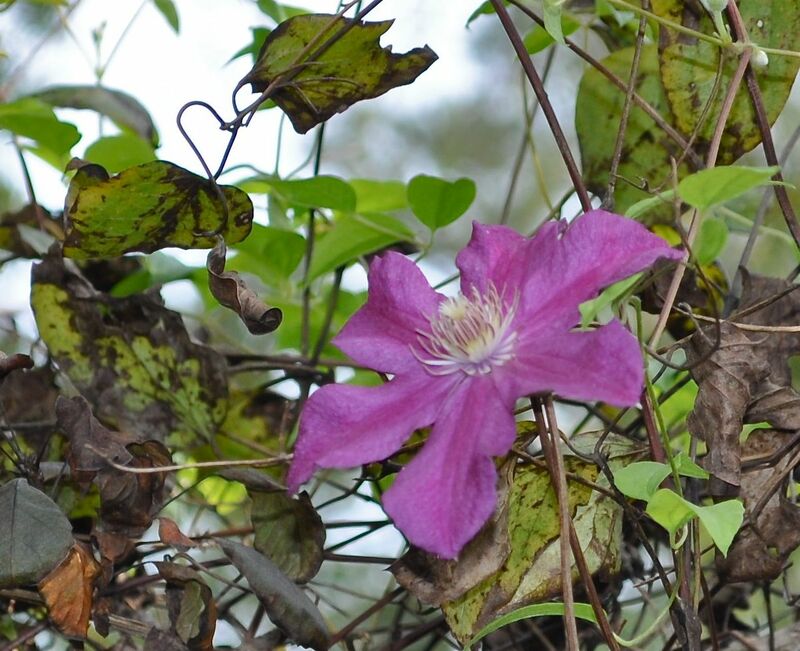 In 1988, researchers in Great Smoky Mountains National Park set up study chambers with over 100 species of plants growing in them to determine which plants were affected by ozone." "The result of this study is that 30 species were classified as highly sensitive and another 60 species showed some signs when exposed to high levels of ozone. 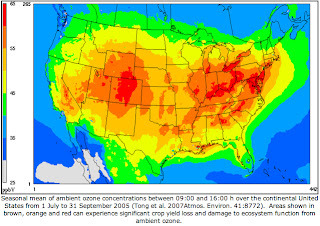 The highly sensitive species showed symptoms after being exposed to ozone levels as low as 10 parts per billion (ppb). In contrast, the EPA has set 65 ppb as the National Ambient Air Quality Standard (the level safe for people to be outside with no ill health effects)." 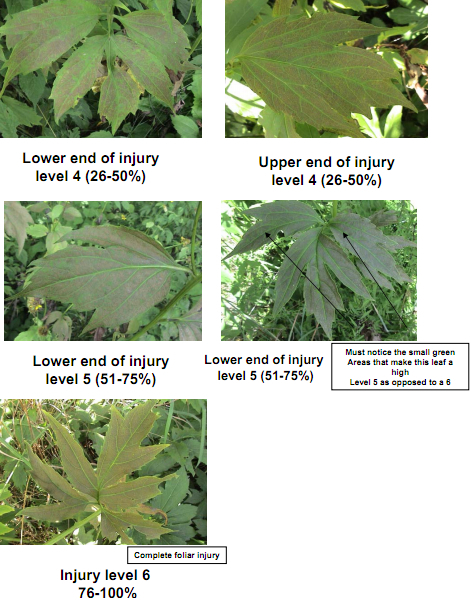 They also produced an "Ozone Monitoring Guide" using bioindicator plants for the detection of ozone injury that is actually a quite comprehensive primer on ozone. "Week 6 shows ozone levels between 52 ppb and 73 ppb. While reviewing her data from each week, she notices that none of the levels are particularly high, only 5 days exceed 65 ppb and no days are considered unhealthy. At the same time, the rate of progression of symptoms is fairly dramatic. The results have raised more questions for the student than answers. She is now wondering about the total number of hours the plants received certain ozone exposures. The data she received only gave the maximum 8-hour average for the day. 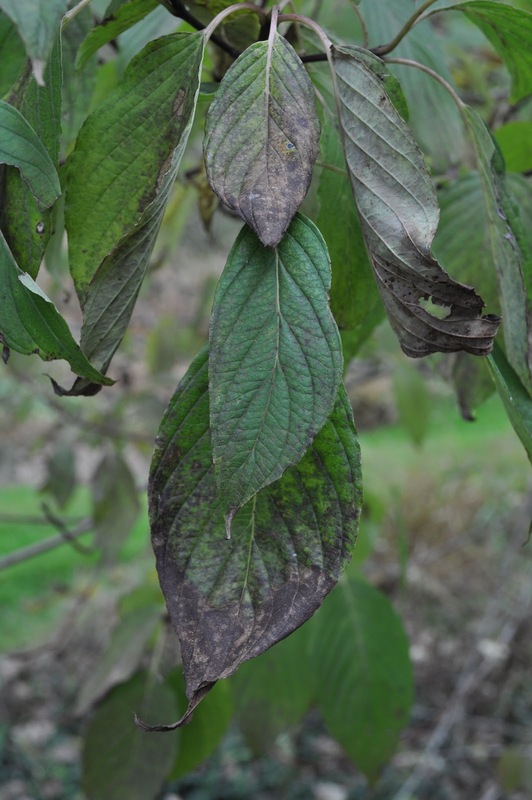 The student decides she wants to do more research on the internet to determine if there is a ppb standard for plant health since the plants appear to react to ozone in weeks when ozone levels are as low as 50 ppb at a maximum. Her conclusion is that sustained exposure at low levels of ozone exposure seems to be just as likely to produce symptoms as a short-lived high exposure." Oh My! Out of the mouths of babes! A simply stunning truth emerges: the damage from exposures not considered unhealthy by the EPA standard is...dramatic. "I've never heard of the term "biostitute" until today by a former biology researcher who was unhappy with a career change he made and was ready to go back into performing research for consulting firms that do field studies required by government regulatory agencies. As he explained it, businessmen have bought off the politicians and regulators so that their construction projects get pushed through, no matter the severity of environmental degradation that they cause. "Money corrupts everything so that the entire earth gets paved over." "Our associates have Ph.D. degrees in numerous areas and have produced and written hundreds of EA's (Environmental Assessments) and EIS's (Environmental Impact Statements) that were so misleading and cleverly crafted that power companies have been able to fragment and destroy thousands of acres of fragile native forest and other ecosystems, coal mining companies have been able to blast off entire mountain tops, and departments of transportation have been able to spend billions of dollars helping urban blight and sprawl consume thousands of acres of farmland so that the petroleum industry could sell millions of barrels of oil to new hordes of commuters." To some degree we are all prostitutes to the system." So remember our first new term for the day - Biostitution - there will be a test on the next post on that topic! Also in the email exchange pasted below, highlighted in red, is another term that is new to me - although it is a phenomena I have observed many, many times on this blog: marginal leaf burn - from a book! I've been describing this ubiquitous condition edges that are singed or scorched, but now it's official - they have marginal leaf burn from absorbing ozone. 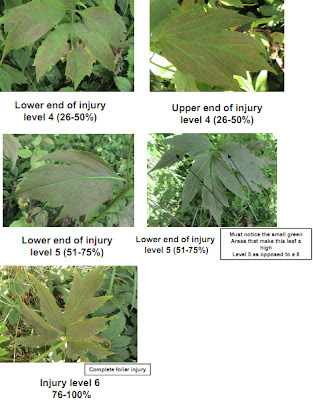 These pictures are very important, because it's impossible to find a leaf anywhere that looks like "level 1" - in fact, most currently look in far worse condition that the worst on this scale. 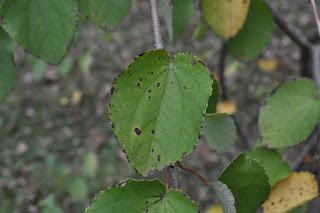 Following are photos I took this past few days, of a random assortment, all at high levels of injury - this is even more critical because it's been well established in experiments that stunted growth and other ill effects occur in trees BEFORE their leaves exhibit visible damage. 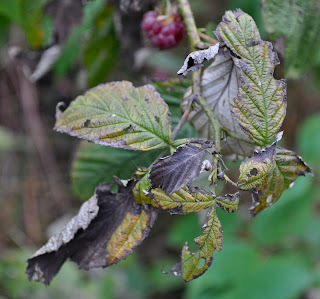 And remember, we've had no frost - if we had, the flowers and raspberries would be finished. 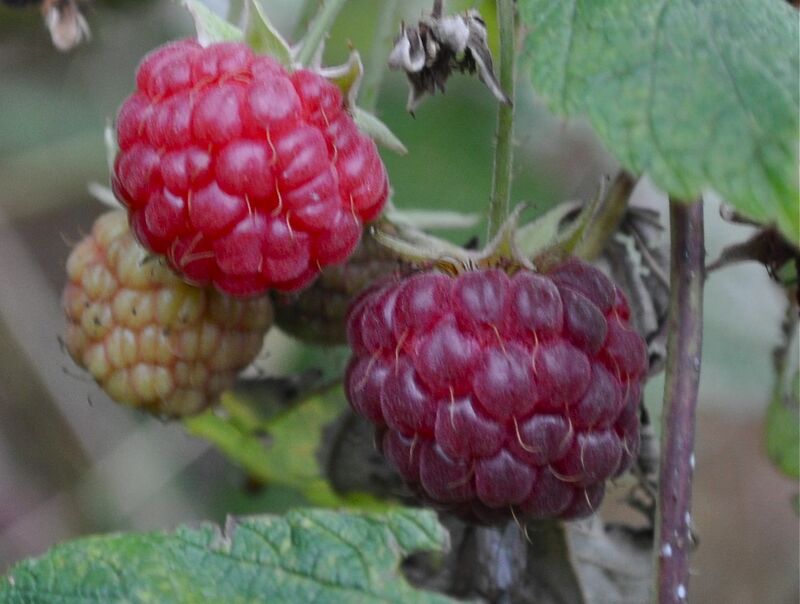 The berries look good, but they taste lousy (sigh). 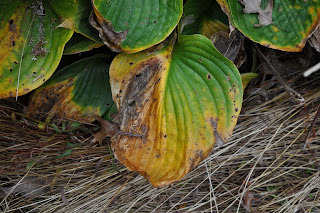 All the older leaves are tattered and black - more recent sprouts are green. I got rather excited last week when I read an interview at Forbes, "Climate Shock, UC Berkeley Scientist, Dr. John Harte, Puts the World on Notice." A professor in the Department of Environmental Science, he was so dire in his warnings about the unaccounted feedback effects in climate models used for predicting future temperature increases that I thought surely, he would be interested to know about the impending feedback comprised by the crucial loss of the forest carbon sink...so I wrote him my usual letter. A Clematis still blooms, despite leaves the older leaves that are discolored shriveled. I have only today come across your work, via the excellent interview at Forbes. I'm hopeful that you will consider examining, with your expertise, a relatively neglected, existential threat to our ecosystem, which is the cascade of NOx resulting in inexorably increasing levels of background tropospheric ozone. I live in New Jersey and it is simply appalling how fast the trees here are dying. 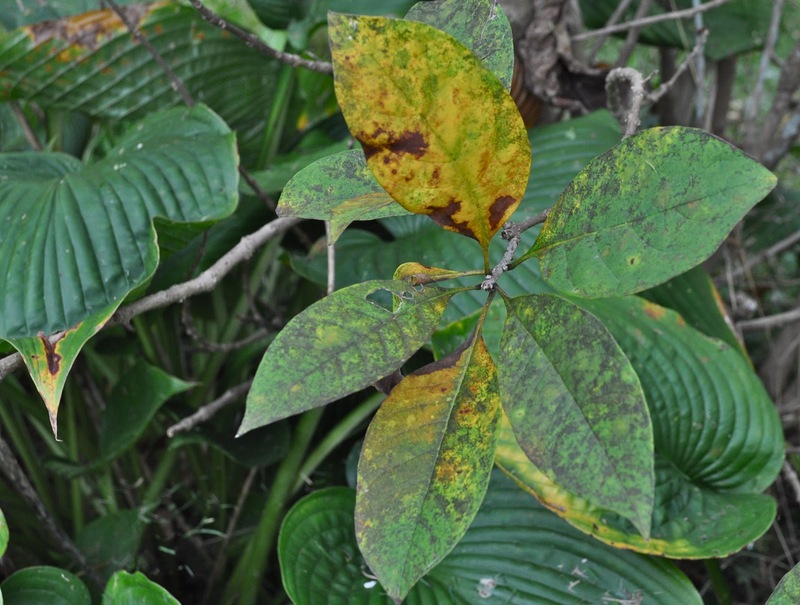 I've traveled to Seattle, and even in Costa Rica, have found identical symptoms of foliage damaged by ozone. Earlier this month I went to Santa Cruz to see my daughter, who is a grad student there, and frankly, California looks like a graveyard. I really don't understand how it is that the residents don't notice that everything is brown and dying. I know they blame it on insects, disease, and fungus, but all of those things attack trees and crops compromised by exposure to air pollution. 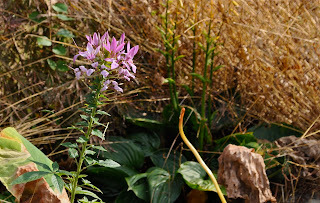 Anyway, I write about this problem and publish photographs on a blog called Wit's End, because I keep hoping that a professional will alert the public that we are going to have a serious shortage of food, soon, if we continue to burn fuel and emit reactive Nitrogen. I also suspect, but do not have the resources to investigate, that biofuel emissions are much worse than fossil fuel in terms of producing ozone; and perhaps that is why vegetation is dying at a rapidly accelerating rate in just the past few years. If that's the case, we could just stop burning biofuels and conserve like crazy instead, thus returning to a slightly more leisurely pace of destruction from climate change alone. I welcome any thoughts you may have on this topic, and thank you for your attention. 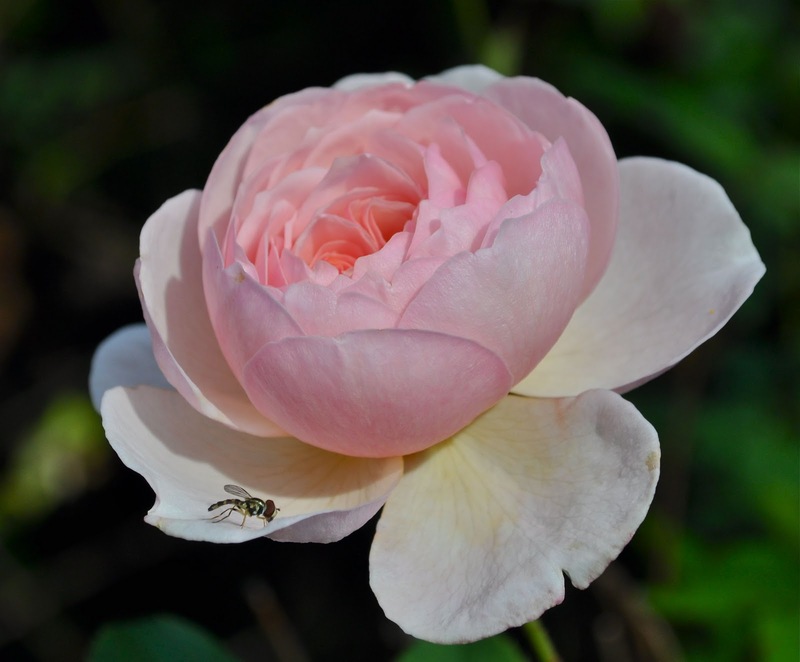 A sweet rose outside my kitchen. Yes, Gail, and on top of your reasons for scrapping biofuels is the fact that it really does little or nothing to reduce CO2 emissions. 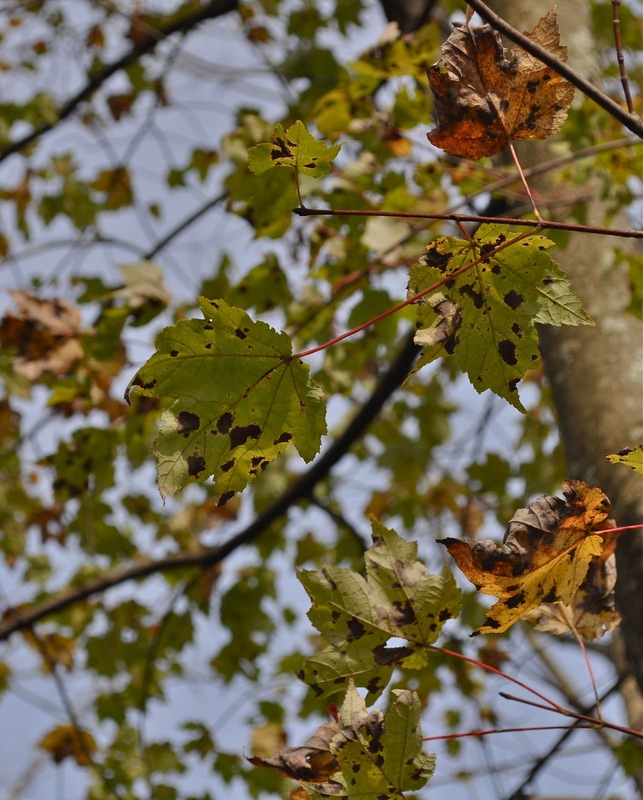 Linking forest dieback to air pollution is easier in the Eastern US than in CA....not enough research has been done here, but one clear connection is between climate warming and the bark beetle population explosion. 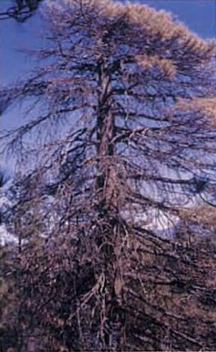 The beetle has done enormous damage to conifers throughout much of the Rockies. Thank you for the link to your book. With breathtaking brevity in your reply to my concerns, you have managed to hit three of the top denialist points I encounter from academic researchers! A trifecta! 2. It's insects (this despite the fact that the aspen in those same western forests are also dying, and they don't get attacked by bark beetle). Common variants of this argument for other species are - it's fungus, it's disease, it's drought. 3. 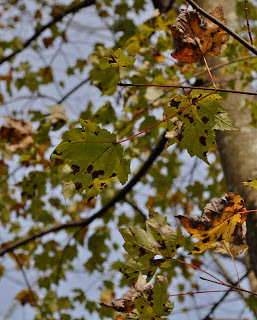 It's warming (this despite the fact that older trees get attacked first, because they are more stressed from more seasons of exposure to ozone...plus, if it was mainly temperature causing the bark beetle to run amock, you'd expect a clear pattern of damage to be worst in the southern range and lower altitudes moving north and higher, but that is not the case to my knowledge). Japanese maple leaves, much smaller than normal size. * What caused the San Bernardino outbreak: "...long term exposure to air pollution, particularly ozone, has reduced the health of conifers in the forest. 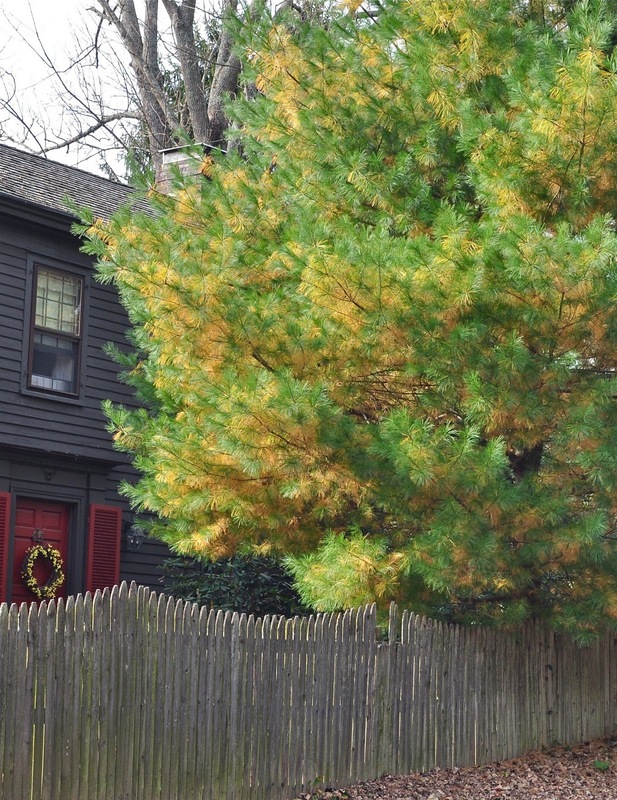 Excessive ozone exposure causes premature loss of pine needles, reducing the trees ability to produce food and tissues." **UC Riverside: Tree mortality and beetle activity were signiﬁcantly higher at the high pollution site. Differences in beetle activity between sites were signiﬁcantly associated with ozone injury to pines, while differences in tree mortality between sites were signiﬁcantly associated with both ozone injury and fertilization level. Tree mortality was 9% higher and beetle activity 50% higher for unfertilized trees at the high pollution site compared to the low pollution site. Tree mortality increased 8% and beetle activity increased 20% under the highest rates of nitrogen additions at the low pollution site. The strong response in beetle activity to nitrogen additions at the low pollution site suggests that atmospheric nitrogen deposition increased tree susceptibility to beetle attack at the high deposition site. 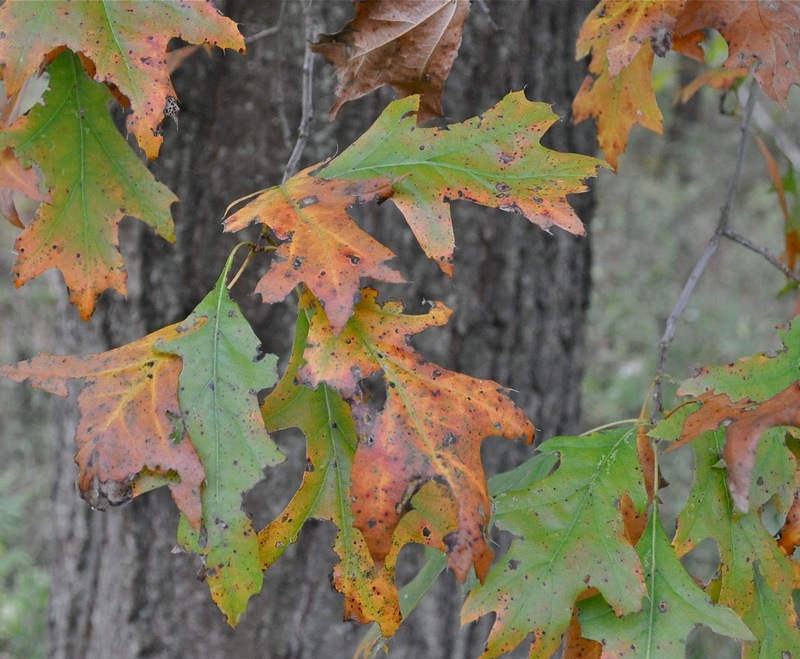 While drought conditions throughout the region were a major factor in decreased tree resistance, it appears that both ozone exposure and atmospheric nitrogen deposition further increased pine susceptibility to beetle attack." Ponderosa Pine showing severe ozone damage. Note reduction in needle length and retention. "Chlorotic mottling of needles, shorter needles, and reduced needle retention, are the main symptoms of injury [from ozone]. Seriously damaged leaves of deciduous trees in the same area may show distinctive brown edges, called marginal leaf burn. Additional symptoms of serious damage include loss of apical dominance, that is, suppression of terminal bud growth; reduction in overal shoot growth; increased death of lower and mid crown branches; and diminished cone production...With chronic exposure to ozone, symptoms persist, trees continue to decline, and eventually many die, often prematurely from attack by bark beetles." I can't cut and paste from a google book, but the section linked to is worth a read, because it is quite definitive that ozone underlies the secondary attacks by pathogens. I was just in California and there isn't a conifer or a deciduous tree that doesn't have exactly those symptoms described. Go outside and look! I do hope you will consider your previous dismissal of this existential threat. People need to know that the ecosystem is collapsing, or they will not be motivated to stop it. I believe you missed or misunderstood the intent of my comments. 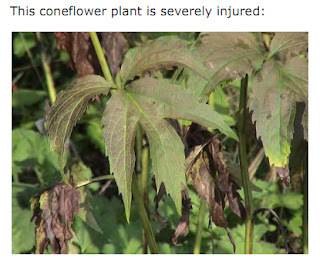 Of course the effect of pollution on plants in S CA is documented. 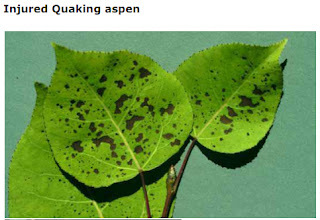 But many of the other signs of plant damage in the Western US are not linked to pollution. Sudden Oak death, for example, appears to occur in patterns that simply do not link to air quality. And in Colorado, bark beetle outbreak and damage are found in areas with relatively pristine air as well as in area with documented serious air pollution. There is no correlation of outbreaks with pollution in the Rockies. Do not fall into the trap of assuming a single cause for the destruction that human activity is causing. We are imposing multiple stresses on the planet, and the causes of damage are many and varied. I neither said nor implied that it is not happening "here". I never said that it is always insects; I said that in some places it is insects as direct cause, climate as indirect. In other places it is ozone and NOx, and in some places it is acid rain. You are wrong to infer that climate change should affect more southerly regions before it affects more northerly regions. Not sure where you got that from. 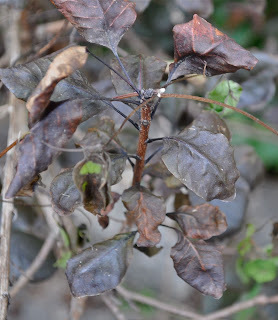 The cause of aspen dieback remains a puzzle...still no established and clear association with specific stresses. Leaves of a fringe tree. I have to admit I have been accused of being an ozonist, an epithet that is fine with me! It's not that I don't understand there are (many) negative impacts on trees from various sources...what I do think however is that the damage done by ozone is grotesquely under appreciated, at our peril. Pollution seems to be a verboten topic, particularly among climate scientists, which is unfortunate, because they are the ones with access to atmospheric data. For instance you state that there is no correlation between "pristine" areas of Colorado and bark beetle, but according to the attached map which is on the USDA webpage, the bark beetle outbreak area is smack in the middle of some of the highest levels of ozone in the country. More generally, there is a global trend for forest dieback, and the only truly global influence on trees is the background level of ozone in the troposphere. I'll give you another example. 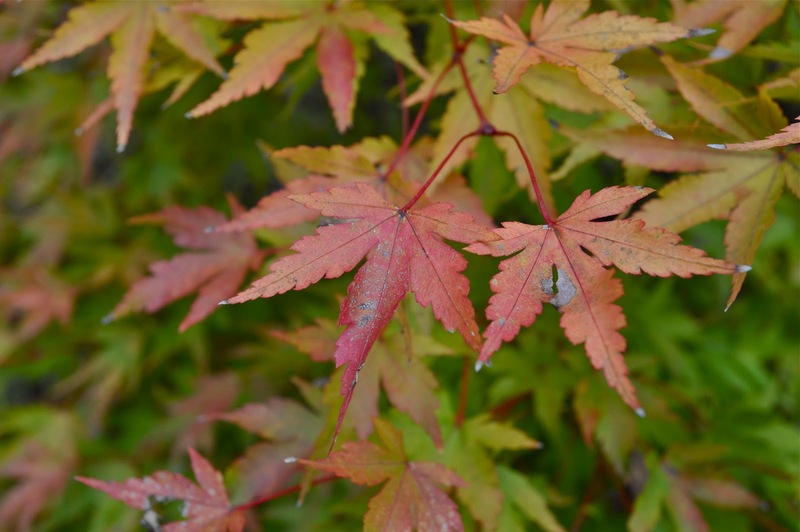 There are a couple of scientists in Vermont who have published reports that the reason the maple trees are producing measurably significant inferior quality of sap is warming and precipitation changes from CO2. Yet they say this with exactly zero controlled experiments. They appear to make this assumption because they can't find any other explanation to point to for this to occur over the last decade or so - no insects, disease or fungus to blame. And yet they absolutely refuse to consider that reactive nitrogen precursors forming ozone in New England could be the cause - even though there are numerous controlled experiments by the NCLAN, FACE and others, proving that severely reduced yield and quality of plant production results from ambient ozone. Very typical condition of maples leaves. I won't bother you again and I do appreciate your taking the time to respond. 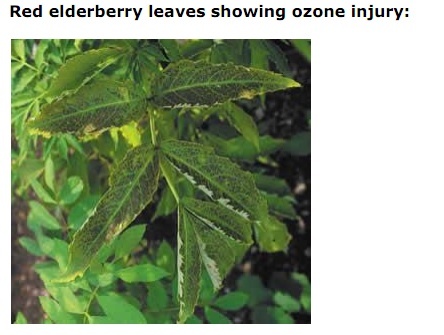 It's sad that something as well documented as "ozone causes cancer, emphysema, asthma, allergies, heart disease and Alzheimer's" isn't translated into the equivalent degree of fatal injury to trees, which are no more evolved to absorb it than people. Instead, I often read that scientists and foresters advise people to plant trees because they "clean the air and reduce pollution" without ever stopping to wonder what happens to those helpful trees. I didn't expect to hear back again, and I haven't. I should have realized from his first response he is in the CO2 CO2 CO2 camp. Oh, well, hunting season has begun! Stephen Colbert expresses the prevalent view that we've solved the pollution problem, so shut up about it already! Newsflash! 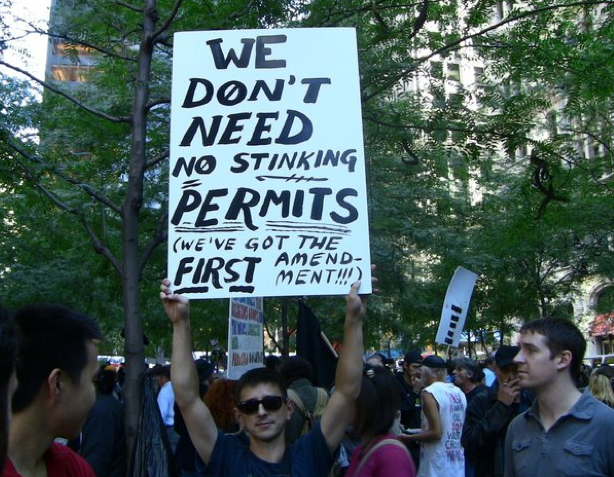 Occupy Wall Street Movement is Losing Momentum...NOT! That's right, according to one analyst, statistics show diminished interest in the Occupations. All I can say is, Like Hell!! Complacent, Oblivious and In Denial! Yay me, I (sort of) figured out how to add text and sound to a video! It's a bit over a half hour, so don't say I didn't warn you...a mash of my very first (and hopefully not last) ride on a hot air balloon (it was FANTASTIC!) and my very first interview on the radio! Make sure to notice the awkward attempts made and then swiftly abandoned by my fellow travelers to enthuse about the scenery, which unfortunately, is currently considerably less than glorious, and poised to become even less so. 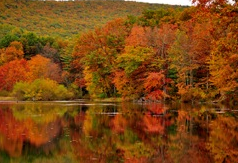 Keep in mind...the colors should be as vivid as in these two photos, which were taken from a New York service that leads a variety of adventure tours - with their autumn foliage dates ranging from October 30 through November 5...because that's when the trees should be at their finest. We Don't Need No Stinkin' Permits! Waaaah! I have so much to write about dying trees but things are happening too fast at Occupy Wall Street to keep up. Mayor Bloomberg has renewed bleating about restrictions including a preposterous requirement for permits to march, which annoys me no end...and then I read this extremely disconcerting account of her arrest, by Naomi Wolf, published in the UK Guardian of all places, where she has plenty to say about that. Here's the link. Read it, it's outrageous. Why can't the NYPD treat peaceful protesters exercising their rights to free speech and to assemble like the police in Canada?? 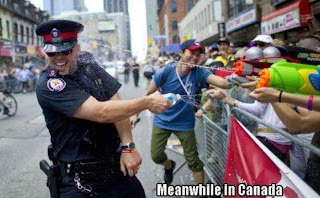 The occupiers should be allowed to have tents. Winter is coming! The Anthem for Occupy Wall Street from Nigrotime on Vimeo. Congress shall make no law respecting an establishment of religion, or prohibiting the free exercise thereof; or abridging the freedom of speech, or of the press; or the right of the people peaceably to assemble, and topetition the Government for a redress of grievances. The People, consisting of all United States citizens who have reached the age of 18, regardless of party affiliation and voter registration status, shall elect Two Delegates, one male and one female, by direct vote, from each of the existing 435 Congressional Districts to represent the People at the NATIONAL GENERAL ASSEMBLY in Philadelphia. Said Assembly shall convene on July 4, 2012 in the city of Philadelphia. The office of Delegate shall be open to all United States citizens who have reached the age of 18. Election Committees, elected by local General Assemblies from all over the United States, shall coordinate with the 99 Percent Declaration Working Group (http://groups.yahoo.com/group/the99declaration/) to organize, coordinate and fund this national election by direct democratic voting. The Election Committees shall operate like the original Committees of Correspondence did before the first American Revolution. At the NATIONAL GENERAL ASSEMBLY, the 870 Delegates shall set forth, consider and vote upon a PETITION OF GRIEVANCES to be submitted to all members of Congress, The Supreme Court and President and each of the political candidates running in the nationwide Congressional and Presidential election in November 2012. The Delegates of the National General Assembly shall vote upon and implement their own agenda, propagate their own rules and elect or appoint committee members as the Delegates see fit to accomplish their goal of presenting a PETITION OF GRIEVANCES from the 99% of Americans before the 2012 elections. 1. Implementing an immediate ban on all private contributions of money and gifts, to all politicians in federal office, from Individuals, Corporations, Political Action Committees, Super Political Action Committees, Lobbyists, Unions and all other private sources of money to be replaced by the fair and equal public financing of all federal political campaigns. We categorically REJECT the concept that money is equal to free speech because if that were so, then only the wealthiest would have a voice. These actions must be taken because it has become clear that politicians in the United States cannot regulate themselves and have become the exclusive representatives of corporations, unions and the very wealthy who spend vast sums of money on political campaigns to influence the candidates’ decisions and ensure their reelection year after year. 2. The immediate reversal, even if it requires a Constitutional Amendment, of the outrageous and anti-democratic holding in the "Citizens United" case by the Supreme Court, which equates the payment of money by corporations, wealthy individuals and unions to politicians with free speech. We, the People, demand that institutional bribery and corruption not be deemed protected speech. 3. Prohibiting all federal public officials and their immediate family members, whether elected or appointed, from EVER being employed by any corporation they regulate while in office and/or holding any stock or shares in any corporation they regulate while in office until a full 5 years after their term is completed. 4. A complete lifetime ban on accepting all gifts, services, money, directly or indirectly, to any elected or appointed federal officials or their immediate family members, from any person, corporation, union or other entity that the public official was charged to regulate while in office. 5. A complete reformation of the United States Tax Code to require ALL citizens to pay a fair share of a progressive, graduated income tax by eliminating loopholes, unfair tax breaks, exemptions and deductions, subsidies (e.g. oil, gas and farm) and ending all other methods of evading taxes. The current system of taxation favors the wealthiest Americans, many of whom, pay fewer taxes to the United States Treasury than citizens who earn much less and pay a much higher percentage of income in taxes to the United States Treasury. We, likeWarren Buffet, find this income tax disparity to be fundamentally unjust. 6. Medicare for all American citizens or another single-payer healthcare system, adjusted by a means test (i.e. citizens who can afford it may opt-out and pay their own health insurance or opt-in and pay a means tested premium). The Medicaid program, fraught with corruption and fraud, will be eliminated except for the purpose of providing emergency room care to indigent non-citizens who will not be covered by the single-payer program. 7. New comprehensive regulations to give the Environmental Protection Agency expanded powers to shut down corporations, businesses or any entities that intentionally or recklessly damage the environment and/or criminally prosecute individuals who intentionally damage the environment. We also demand the immediate adoption of the most recent international protocols, including the "Washington Declaration" to cap carbon emissions and implement new and existing programs to transition away from fossil fuels to reusable or carbon neutral sources of power. 8. Adoption of an immediate plan to reduce the national debt to a sustainable percentage of GDP by 2020. Reduction of the national debt to be achieved by BOTH a cut in spending to corporations engaged in perpetual war for profit, the "healthcare" industry, the pharmaceutical industry and all other sectors that use the federal budget as their income stream AND a truly progressive income tax code that does not allow the wealthy and corporations to evade taxes through excessive deductions, subsidies and loopholes. We agree that spending cuts are necessary but those cuts must be made to facilitate what is best for the People of the United States of America, not multinational and domestic corporations. 9. Passage of a comprehensive job and job-training act like the American Jobs Act to employ our citizens in jobs that are available with specialized training and by putting People to work now by repairing America's crumbling infrastructure. We also recommend the establishment of an online international job exchange to match employers with skilled workers or employers willing to train workers in 21st century skills. 10. Student loan debt relief. Our young People and students are more than $830 billion in debt from education loans alone. Payment and interest on these debts should be deferred for periods of unemployment and the principal on these loans reduced using a corporate tax surcharge. 11. Immediate passage of the Dream Act and comprehensive immigration and border security reform including offering visas, lawful permanent resident status and citizenship to the world’s brightest People to stay and work in our industries and schools after they obtain their education and training in the United States. 12. Recalling all military personnel at all non-essential bases and refocusing national defense goals to address threats posed by the geopolitics of the 21st century, including terrorism and limiting the large scale deployment of military forces to instances where Congressional approval has been granted to counter the Military Industrial Complex's goal of perpetual war for profit. 13. Mandating new educational goals to train the American public to perform jobs in a 21st Century economy, particularly in the areas of technology and green energy, taking into consideration the redundancy caused by technology and the inexpensive cost of labor in China, India and other countries and paying our teachers a competitive salary commensurate with the salaries of employees in the private sector with similar skills. 14. Subject to the elimination of corporate tax loopholes and exploited exemptions and deductions stated above, offering tax incentives to businesses to remain in the United States and hire its citizens rather than outsource jobs and reconstruct the manufacturing capacity of the United States. In conjunction with a new jobs act, reinstitution of the Works Progress Administration and Civilian Conservation Corps or a similar emergency governmental agency tasked with creating new public works projects to provide jobs to the 46 million People living in poverty, the 9.1% unemployed and 10% underemployed. 15. Implementing of immediate legislation to encourage China and our other trading partners to end currency manipulation and reduce the trade deficit. 17. Adoption of a plan similar to President Clinton’s proposal to end the mortgage crisis and instead of the Federal Reserve continuing to lower interest rates for loans to banks who are refusing to loan to small businesses and consumers, the Federal Reserve shall buy all underwater or foreclosed mortgages and refinance these debts at 1% or less to be managed by the newly established Consumer Financial Protection Bureau (and foreclosure task force described below) because 1% or less is the interest rate the Federal Reserve loans to the banks directly who hoard the cash rather than loan it to the People and small businesses. 18. An immediate one year freeze on all foreclosures to be reviewed by an independent foreclosure task force appointed by Congress and the Executive Branch to (in conjunction with the Consumer Financial Protection Bureau ) determine, on a case by case basis, whether foreclosure proceedings should continue based on the circumstances of each homeowner and propriety of the financial institution's conduct. 19. Subject to the above ban on all private money and gifts in politics, to enact additional campaign finance reform requiring free air time and public campaign finances to all candidates who obtain sufficient petition signatures and/or votes to participate in the primaries and/or electoral process, to shorten the campaign season and to allow voting on weekends and holidays. Honey, Who Shrunk the Trees?